The success of the Indian Air Force's air logistics in the inaccessible terrain of the northeastern region lies in the man-mission-machine interface.  To an untrained eye, the rolling valleys and hills might appear identical. 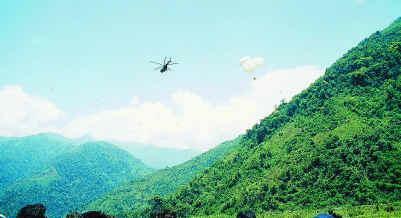 But transport and helicopter pilots and navigators of the Indian Air Force (IAF), undertaking air logistics in the mountainous and forested northeastern region of the country, must distinctly know the contours of every valley and hill they fly over, for any lack of knowledge of the aerial topography could result in their flying `straight into terrain' or into a neighbouring country. And it is not just the terrain that poses a challenge. Since the aircraft is operated at the critical limit of its flight envelope with reduced safety margins, the unpredictable weather calls for a high level of flying skills. Veteran pilots' oft-repeated warning is: "You can take chances with the hills, you can take chances with the weather, but it is suicidal to take chances with the weather and the hills at the same time." Administering this inaccessible and rugged region comprising thick forests, the Himalayan ranges, steep valleys and the mighty Brahmaputra is next to impossible by land, although the region has a number of military and paramilitary personnel, many of whom are within a stone's throw from the international border. The surface communication network in the region is sketchy and the road network rudimentary and restricted to the lower reaches of the mountain ranges. Air logistics, by fixed or rotary wing aircraft, is the only way to transport troops and material. Even live goats - termed as `meat on hooves' - are air-dropped in some of these areas. The IAF has also been ferrying tonnes of equipment for the Border Roads Organisation (BRO), which has speeded up the construction of roads in key valleys. The new roads leading to outposts such as Kibithu (7 km from the McMahon Line), Anini, Ziro, Tuting and Menchuka (all in Arunachal Pradesh) have in recent years brought down the dependence on air logistics operations in the region. Currently only around 14 out of the 100-odd designated Drop Zones (DZs) are operated. Air maintenance is undertaken with an elaborate network of "playing card"-sized DZs (some as small as 700 x 300 feet since there is just not enough space in the sloping higher mountain reaches), Advanced Landing Grounds (ALGs) and helipads. This elaborate network of DZs (some like Tawang, Tato, Bhawani and Yapik in Arunachal Pradesh are close to the Chinese border), ALGs, and helipads are the lifelines of both the military personnel and the civilian population. The region falls within the jurisdiction of the IAF's Eastern Air Command (EAC), which has pioneered the country's air logistic operations, ever since the Burma campaign. Starting its operations with the fixed-wing Dakotas in the 1950s, the EAC now carries out mainly medium lift transport and heliborne operations to far-flung areas, many of them at altitudes in excess of 12,000 ft. (3,600 metres). While the medium lift transport fleet operates the multipurpose An-32, the Russian-built all-weather workhorse of the IAF, the favoured helicopter is the Russian manufactured Mi-17. (Heavier equipment, such as trucks are transported by the IL-76 aircraft with a 180-tonne carrying capacity.) Most of the air logistic operations to Nagaland, Arunachal Pradesh and even north Sikkim using An-32s and Mi-17s emanate from the Jorhat or Mohanbari Air Force Station (AFS) and to a lesser extent from the Tezpur and Bagdogra/Hashimara AFS. Flying is undertaken only between sunrise and noon. By early afternoon hill shadow and the associated poor visibility, make sorties impossible. Unmanageable clear air turbulence owing to mountain waves, low-level wind shear, and low clouds also pose problems. While troops are para-dropped or landed depending on the facilities, equipment is either dropped over designated DZs or off-loaded at ALGs and helipads. Drop sorties over DZs can either be free drops (without a parachute), the equipment being reinforced with gunny bags secured on skid boards, or para-dropped (for example, items such as jerry cans of kerosene, goats and essential medicines). DZs in the EAC are also classified as `normal' or `difficult' based on their dimensions, elevation and topography, turbulence, terrain, weather conditions and the degree of manoeuvrability of the aircraft within the valley. In a typical drop sortie (circuit) from an An-32 (the aircraft modified for the role with rollers and an electromagnetic release unit), a maximum of 11 skid boards, each weighing 500 kg, including the load, are free-dropped or para-dropped (three parachutes per skid). While flying at a speed of around 250 km an hour and at times just 100 feet (30 m) above the hills, the navigator gives the signal to the ejection crew to get ready to ensure a "quick removal and securing of load with ramp open". (The air temperature outside the aircraft would be as low as - 5oC, making it even more difficult for the crew.) When a green light comes on, the flight engineer operates the release unit, dropping the load. A red warning light signals that the DZ has been crossed and that the release should be aborted. The pilot does a turnaround to see if the drop has been successful. A circuit takes around 10 minutes. With the DZs situated in narrow valleys, the margin for error is very low and the drop has to be precise so that the losses are minimum. A load that falls outside a DZ may not be retrievable owing to the inaccessible terrain. The aircraft has to be manoeuvred. There is no radio/telecommunication (R/T) with most of the DZs, which are identified visually with the help of the landing `T', a DZ number, and ground features. The high altitude and changes in the seasons make navigating to a DZ a challenge. And the problem is accentuated during the pre-monsoon season because of the jhum cultivation and the resultant smog. At some DZs, like Mugthang (which is at an altitude of 14,200 ft), the crew has to use oxygen masks during the entire drop exercise. The ALGs (most of them at an elevation of between 4,000 ft and 6,200 ft) have been established to provide basic infrastructure in terms of refuelling, air traffic control, and meteorology data via portable radio telecommunications sets for helicopter operators. There are no navigational aids available en route or at the ALGs. Given the topography (many like the Mechuka ALG are situated in narrow valleys) take-off and landing are demanding exercises. The runway surfaces are semi-prepared (thereby making them unfit for use in wet weather) and, crucially, they are restricted in both length and width. A typical ALG runway has a length of between 3,600 and 4,200 feet and a width of between 60 and 75 feet (which is half that of a normal runway). And unlike conventional airfields, ALGs are not equipped with stopways, overruns and undershoots. The approach to an ALG is also steep owing to obstructions, and the landing/take-off circuit is unconventional. At the Vijaynagar ALG, the eastern-most inhabited place in India, which is surrounded by Bangladesh on three sides, An-32s come clattering over reinforced metal sheets as they land. Even a minor miscalculation in the landing speed (ideally around 200 km per hour) could result in the aircraft hurtling into the mountains. Located at Rowriah, AFS Jorhat is the IAF's first air base in the East. Its primary role has been that of a transport base launching aircraft that carry out airdrops in the Naga Hills and Nagaland and Arunachal Pradesh. It is equipped with two squadrons of An-32s and air logistics are provided from Jorhat to the Arunachal Pradesh districts of Kameng, Subansiri, Siang, Lohit and Tirap. Some of the DZs currently serviced from Jorhat are Taksing, Limiking, Mechuka, Tuting, Gandhigram and Rangloom. The agenda for pilots at Jorhat is simple: training, air logistic duties and war preparedness. Pilots posted to AFS Jorhat, put in at least 30 hours of on-job training in order to familiarise themselves with the terrain. The Mohanbari AFS, the biggest base for the twin-engined helicopters of the IAF, has two Mi-17 helicopter units. In case of extremely restricted helipads with a lot of obstruction in the vicinity the load (earth moving equipment such as bull dozers, air compressors, road rollers and assorted cargo, weighing up to 2.5 tonnes), has to be carried, hooked under the helicopter. Bulldozers weighing 11 tonnes are dismantled and shifted piece by piece to remote helipads on mountain slopes, which have been cleared manually. Nearly 50 bulldozers have so far been transported, chiefly for the BRO. 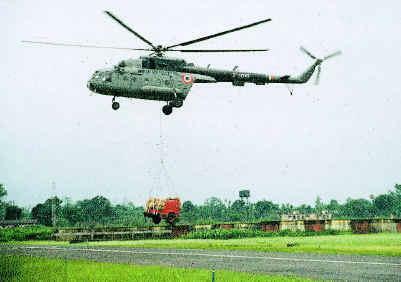 Based at Tezpur, the 118 Helicopter Unit, with 11 Mi-17s provides air maintenance in the form of rations, medicines and service equipment to around seven ALGs/DZs. Tawang, situated at an altitude of 9,000 feet, has a hard surface but unpredictable weather makes possible only two helicopter operations a day. 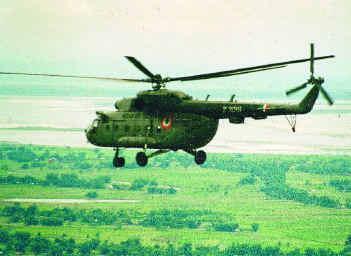 It is manned by Assam Rifles and other units of the Army and the Air Force. Topokhar (13,000 ft) is grassy and fit only for drops. Ring Contour (14,000 ft) is snow-covered and difficult to locate in winter, and is used to ferry supplies to the Army. Chuna (12,000 ft) has grassy landing and is fit for drops, as is Bhawani (12,500 ft), which is rocky and snow-covered, with just enough room to manoeuvre a helicopter. Point 4771 (13,000 ft) is also rocky and snow-covered in winter and is used only for drops for the Army. Point 4594 (13,000 ft) has highly restricted space, which is grassy and snow-covered. Given the altitudes at which these helicopters are required to operate, the reserve of power available is limited, thereby making the copter extremely difficult to control. Flying, both by An-32s and by Mi-17s, is undertaken only when the pilot is able to maintain visual contact with the terrain at all times. In order to enhance the operational capabilities of the An-32s, the IAF hopes to upgrade its navigational aids and avionics. This will not only enhance the aircraft's capabilities and allow it to get away faster, but also allows it to be compatible with civilian Air Traffic Control requirements, which are needed when it has to switch to civilian R/T. 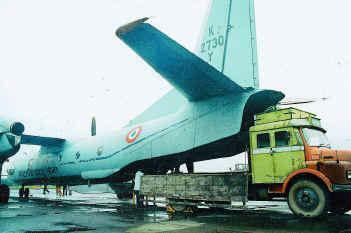 The An-32s have been equipped with externally mounted Counter Measures Dispensing System (CMDS) containers fitted with infra-red flares, designed to impair the effectiveness of enemy heat-seeking missiles (an Mi-17 was allegedly shot down by a Pakistani-stinger missile during the 1999 Kargil hostilities because it did not have CMDS). 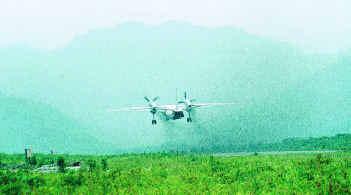 According to Air Vice-Marshal Pradeep Kumar, Air Officer Commanding, Jorhat, the success of the air logistic operations in the northeastern region (the last major accident occurred in 1992) where the colour of the hills changes just as fast as the weather, is mainly owing to the excellent man-machine-mission mix.